Thanks to the 67 folk who diligently responded to the consultation on future regulation of commercial radio. Just over half favoured deregulation and, presumably about half didn’t. The half that didn’t embrace every shred of suggested de-regulation did include some radio stations. In summary, DCMS announced today it proposes to press on with the de-regulation it had outlined in February 2017. Ofcom are currently obliged to license a wide range of services. The view now that the radio market now takes care of this, and what’s more there are other places to go too. There’ll no longer be any obligation in this regard. The national stations were originally licensed to provide particular sorts of fare (e.g. non-pop or majorly speech). Existing stipulations will remain on all three. Whilst it looks like there was some sympathy for AM (Absolute 1215) being able to do what it liked, that all understandably seemed a little too complicated at this stage of the lifespan of AM. No more fun debates about whether ‘Eye of the Tiger’ is easy listening (as one licensee once suggested to me when I was a regulator). Do what you like. This area has already been hugely liberalised – and will now go a step further. DCMS however are giving further thought to whether specific protections are needed for Asian music. Ofcom will have powers to set clear guidance on the provision of national and local news and core information such as travel news. The requirements may differ dependent on the size of the target audience for each station. DCMS concluded there is no need for Ofcom to have the power to set more demanding news or other local requirements in the ‘nations’. "To be credible (news) has to be sourced locally and be locally relevant". "we believe there is merit in the new national and local news and information requirements containing clearer requirements as to local news sourcing." "We also think it is important for the the commercial radio industry itself to come together with a clear cross-industry commitment to promote best practice in the provision and continuation of high quality, locally sourced and locally relevant news." There are calls for greater clarity on what ‘locally-sourced’ news means - and DCMS is looking to Ofcom to produce guidance. Current guidance insists on a station having ‘direct and accountable editorial responsibility' for covering its area and ‘appropriate provision of professional journalistic cover, based within the licence area (or approved area)'. In the latest statement, DCMS recognises the values of newsroom hubbing, but also insists on the value of locally-sourced news (as part of the general thrust of thinking on the ‘democracy deficit’). I cannot imagine Ofcom being any more prescriptive and requiring 'de-hubbing', as that would cut across the deregulatory thrust, but nor do I imagine it would be more generous in its definition. It will likely seek to define what ‘appropriate provision’ is - and will draw a less woolly distinction between the 'sourcing' of news and the location where the bulletin is delivered. I hope it is not tempted into prescribing bulletin durations or onerous definitions of what local news is - or hyper-local definitions of where journalists might sit at their desks. With the emphasis on news provision, there are further questions about on whom a new obligation might fall after digital switchover: the multiplex operator or the radio station. DCMS will engage with the radio industry on this matter. It may likely be a bit of both, once the jar of regulatory fudge is opened. Powers will be sought to enable Ofcom to license overseas services to broadcast from afar to here, starting with permission for broadcasters in Ireland. Thus, RTE would be able to be broadcast on DAB in the UK. Then after Ireland, maybe a nod to other places in Europe, if the operators behave themselves. Irish citizens living here may cheer if RTE does choose to surface on DAB here, given they'll no longer be able to hear the station on Long Wave after 2019. DCMS is pressing ahead with the removal of localness (locally-produced programming) requirements. You no longer will have to broadcast your station from its odd-shaped ‘approved area’. It’s always been a bit of a nonsense – given once you are not in an area most listeners would define as theirs, you might as well be anywhere. There is some DCMS caution on whether, say Scottish stations, should still be required to broadcast from Scotland. It seems that Ofcom hope such stations will so do, and the news requirements and the general mood of licensees may help secure that. DCMS asserts that it helps the transition to digital if Ofcom are no longer allowed to license new analogue services. DCMS were also persuaded that you should be able to hand back your analogue licence when it seems no longer particularly useful, without fear that a rival can apply for it. FM coverage may be improved for existing operators where helpful - but the vacated FM won’t go to new community stations. Until now, analogue licences have been renewed on the strength of a dollop of DAB enthusiasm. DCMS is now persuaded by the arguments put forward by smaller stations that the requirement for them to choose between going through re-licensing and hopping on a major multiplex is not healthy. DCMS however is a tad worried that without a clear incentive to secure carriage, some multiplexes may fail. It’s mulling over whether the smallest stations could be exempt from compulsory carriage – and about some further flex on just how much of your licence area you need to serve on DAB to bag your renewal. A multiplex operator seeking to change its bouquet of services currently has to go on bended knees to Ofcom. They won’t have to any longer. Similarly, there is an appetite for liberalising the application process for multiplex operators. The next phase is for DCMS to bring forward legislation prior to analogue licences coming up for renewal in 2022. It recognises that this is a tough job, not least because Parliament is busy with, ahem, other things – so it suggests that Ofcom does its bit to change whatever it can now, in anticipation of longer-term reform. Its going to be a long journey. And one imagines there's just the chance yet of some political obstacles. The die is cast, and the commercial radio industry is just about free from the last vestiges of monochrome 1970s regulation. Some will cheer at that, others will despair. In truth, much of the remaining regulation likely provides little real value to listeners. What can happen immediately? I suspect Ofcom will have taken legal advice on how far it may go within the current statute. Their lawyers will stroke their chins and conclude that Ofcom may go a little further than they currently do. They’ll charge a little more for saying that though than I just have. Where Ofcom have latitude – they will bend it further. Where the Acts are utterly prescriptive, they will not be able to move - for now. In due course, what is outlined will likely and largely become reality. If you’re a journalist, I suspect this is all good news. After several regulatory changes which have resulted in smaller (but efficient) newsrooms, your jobs will likely be supported by tougher rules. I suspect one early advantage for companies will be studio locations. Those stations anxious to move into premises which happen to sit the wrong side of the track will, at last, be allowed to call for the removal vans. Ofcom have already shown some latitude in this respect – and can probably conjure up a little more with a few weasel words. Similarly, the amount of local programming. The figure in Ofcom’s current '7 hours a day local programming' requirement is of its own making. It could equally well be 3 – at breakfast or drive. To allow stations to be wholly de-localised at this stage might be a step too far for Ofcom without the primary legislation change. When the law changes, will all brands necessarily choose to nationalise their output and close down local bases? Probably not. I suspect that some will – and some won’t – and that’s likely good for both. 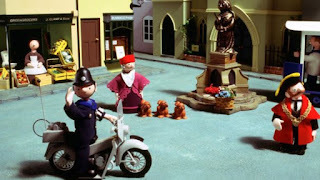 Whilst Radio Trumpton may stop originating programming from its fine stately home in the approved area of greater Trumptonshire/Camberwick Green, it might still have a local sales team and some local journalists in a mobile home in a convenient lay-by. Their rivals may take an opposite stance, putting up their local flag on the Town Hall and choosing to make more of local revenues and reputations. Some presenters may, sadly, feel a little more unnerved than they already do in our uncertain world. Will any brands change music format? I suspect that most now sit in territory where they are happy and strategically sensible. There may be a few brand swaps, with groups choosing to organise their frequencies more sensibly - and also one or two isolated major stations which would more sensibly carry a brand which would attract greater audiences - or audiences which are better monetised. 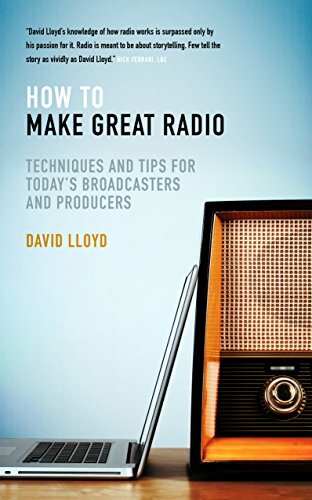 Overall, this is a sensible piece of work which helps commercial radio fight the battle for the ear this century, amidst unprecedented media change. Our industry now is largely in the hands of a small number of passionate operators, with refreshingly different approaches, who are producing programming of high quality and which still enjoys enviably-sized audiences. 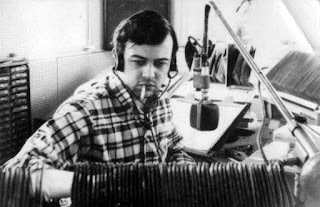 It all feels very different from how commercial radio began - and for the sake of tomorrow's listeners, it's right that it does. I am not of the view that radio stations will only choose to do the bare regulatory minimum. I don't think they ever have. The next year or two will be an uncomfortable time for companies - and indeed Ofcom - as they wrestle to do what most agree upon, but to which her Majesty has not yet been able to give assent. It’s tough to believe that radio effectively used to require pin-code access. You had to remember a string of random digits if you were to find your favourite radio station frequency on the dial. And, given sometimes you even had to change waveband too, it’s a real wonder my mum ever managed to track down Waggoners’ Walk. 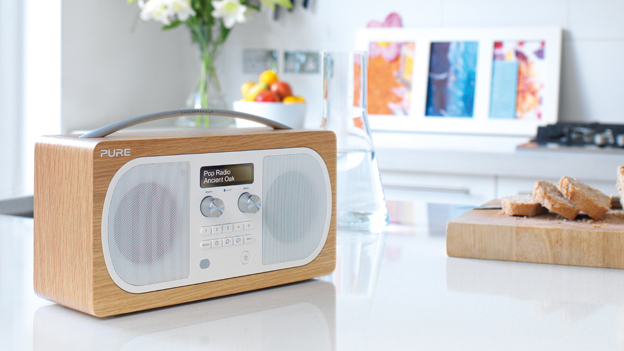 Push-button FM, and now DAB sets, have made life much simpler. Just in time too, given the number of stations available. Mind you, my car DAB radio still seems to be over concerned about which multiplex stations are sat on. Frankly, my dear, I don’t give a damn. Hoorah for smart speaker technology. However - and wherever – that tech is housed in the future, it is a real breakthrough for our medium. Radio is your friend – and all you now need to do is call its name and it’ll come and throw its arms around you. What challenges and opportunities does that pose? Firstly, listeners likely need to know the name of your station. That should be easy, one imagines, but I cannot be the only programmer to have had angry emails from a rude listener demanding we supply a tardy prize which they actually won on a rival radio station. And, thinking of focus group respondents, after half a dozen radio station names cited top of mind, most folk start to struggle. Yes, even with the BBC’s being conveniently numbered. Is your station famous enough? Thankfully, the smart technology, if well devised by informed folk like RadioPlayer, can recognise most variants of your name, so it’s not too much agony for the listener who insists on still calling you what your 1985 jingle package did. But they’ve got to call you something. Your station needs to be top of mind. When the listener is in the mood for whatever, your brand has to be the one literally on their lips. Yes, smart devices can know your last station. But that may have been your girlfriend's wine-fuelled choice – so you still may have to shout it to play your favourite station – until such a time as the devices presumably can tell your voices apart. This plays into the strategy which many groups have adopted. Their stations are genuinely brands into which significant monies have been invested across large geographic patches. Once, if you were on FM, you were effectively on the radio high street. Listeners might find you as they wandered down the band. Now, you have to be asked for by name from behind the counter. You need a space in someone’s mind. Smart technology does offer sampling. It can get to know what you like and can supply alternatives – and in time will develop even better abilities to supply examples of a genre RadioPlayer is better than TuneIn here by some margin - that's good news as we believe that listening by 'mood' is becoming increasingly important. There is the chance of discovery here, but also there is risk. A listener might just like the substitute station better than yours. The algorithms which control where you are pointed are in the hands of the people who make and programme the gadgets and skills, so it’s good when the gatekeepers are part of our clan and understand UK listening habits. Early findings suggest that people are listening to more audio thanks to smart speakers. Seven out of ten (Edison 2017, United States) of those who own a smart speaker say they listen to more audio at home since acquiring it. Whatever they did before, whether radio, podcast or streamed services, they do more. Rajar (MIDAS study, Autumn 2017) suggests that live radio enjoys the lion's share of audio delivered on smart speakers. Whilst radio's dominance is reassuring, it may also remind us that here is a chance once again for others to steal ‘our’ clothes. Major brands could provide well-programmed branded audio streams which just might be more famous than ours. Such streaming services are about to become ever more readily accessible (if, of course, they are, themselves, financially viable). Free of all the complex history of our medium and now offered an easy platform and simple access, could they disrupt? They could - but thankfully, radio’s a touch more difficult to do than it sounds – and we are the experts. Those who say that anyone can programme a streaming music service to the quality of a radio station don’t fully appreciate radio's science and art – and where there are bits between the songs, we certainly know our stuff, whether links or imaging. But if proud new investors are really spending money on quality 'radio' channels which do attract appreciable audiences, that’s probably good news for our industry and our job opportunities. 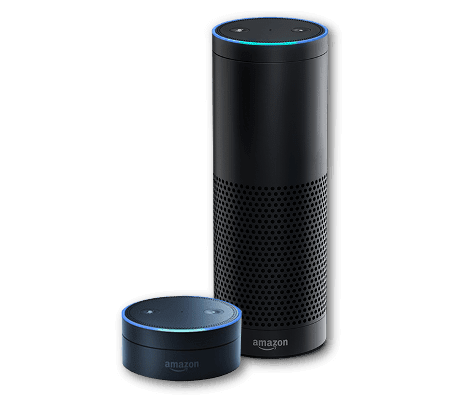 Yesterday, the BBC launched its first full voice app for voice-controlled smart speakers, an Amazon Alexa skill for Echo devices, with other smart speakers to come. This brings access to the BBC’s full range of live radio stations - and podcasts. It’s intelligent and I like the vocal sonic BBC identity as you open the thing. 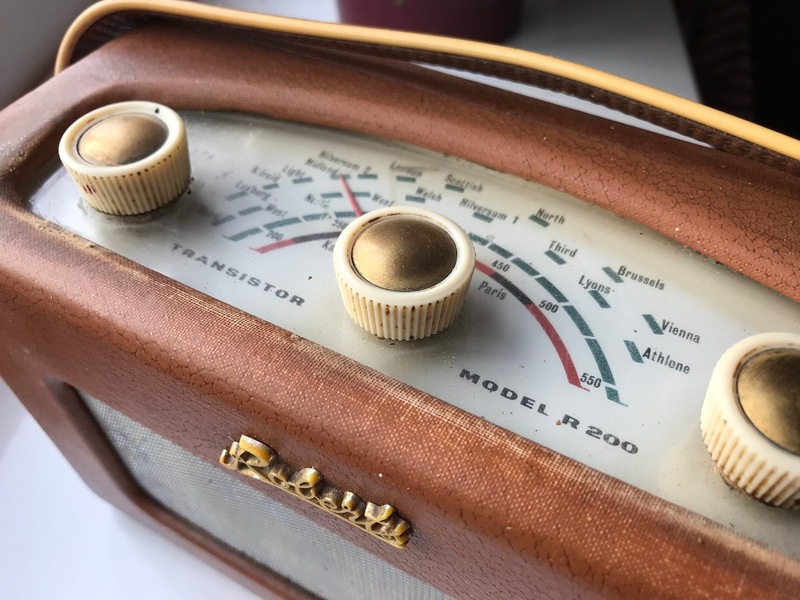 It does find the most recent Desert Island Discs or ‘previous’ or ‘previous’ again – but still can’t track down the Judi Dench edition - or indeed the shipping forecast - by name – a challenge RadioPlayer has also faced in its fine work, making earlier content accessed with ease. That will come. In the very long term, does that beg the question whether stations like the Radio 4 of today have a linear future, if streaming were ever to replace 'broadcast' significantly? I’m a heavy Radio 4 content listener, but Today, as a news programme, is the only regular one of the programmes I consume live. How much of radio necessarily needs to be live and where does live really add value? Stand by, I suspect, for ‘Alexa - open Global Radio’. They were canny long ago about creating a reputation for the parent brand. Invocation names, I suspect, will become as treasured as good website names. Let’s be mindful though that if life gets too confusing - with a choice of rather too many sovereign ‘radio listening’ skills - listeners may simply use the default one in the device, which may have questionable allegiances. That’s a good reason to be wholly supportive of the fine technical and political efforts of RadioPlayer. 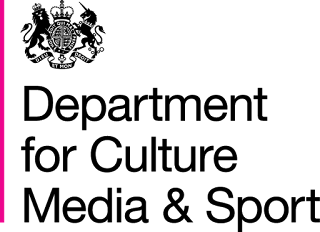 For commercial radio, anything which allows even readier re-tune can be a challenge as a station enters a lengthy commercial break. For this, and so many other reasons, it’s time for a cool clear look at monetising radio – and that’s a topic for a future blog. Our medium has always aroused much emotion from listeners, yet we, as broadcasters have demanded they remember text numbers, phone numbers, and spell our name correctly on social media if they want to get in touch. The vast proportion of listeners are casual ones, however, and the least likely to trouble to learn how to contact us - yet they are the ones we would like to hear from most. 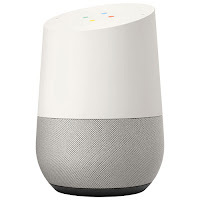 Smart speakers offer the listener an instant way of speaking an immediate message to the station or presenter, as demonstrated recently by RadioPlayer. That's a real win and plays to our strengths. Opportunities abound too in the heightened intelligence about listening habits which these new devices will offer us. Let’s remember that now and in the immediate future, it’s all still a niche affair. Only a small proportion of radio listening is streamed at all (8% of all live radio listening, but including TV - with voice activated alone at 1%, RAJAR, MIDAS Autumn 2017). But, with faster broadband and 5G on the way, that proportion will grow. If, as is expected, most homes quickly become smart, one can expect voice-activated radio to grow alongside. I guess even ‘turn on the radio’, where the radio is a traditional hefty DAB/FM set could easily be commonplace. For a medium which relies on audio, it’s hugely encouraging to welcome a device which treasures it too. 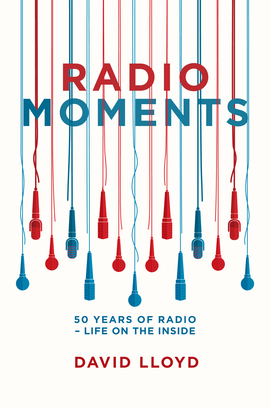 Thus, radio - in whatever form - is set to be centre-stage for its second century. We are but novice elves in the UK at the business of creating Christmas stations, but we've done pretty well. Smooth Christmas was first down the chimney in 2011, complete with the memorable Simon Bates liner about toasting his nuts. Since then, many UK stations and brands have created new stations or flipped formats of subsidiary stations. Let’s cast a critical eye over some of this year’s UK offerings. Our present from Global replaces Heart extra on DAB and online. It’s a typically polished Global offering, and the parent brand gets its honourable mention on the hour (I support that strategy, incidentally). And the name is, indeed, 'Xmas', not Christmas. Heart extra Xmas comprises a set of familiar favourites, with enough variety to keep it interesting. 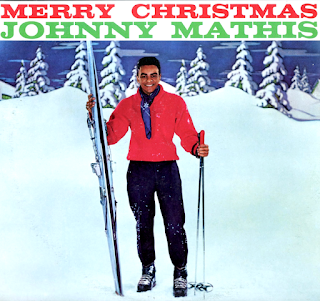 Songs span the eras, mind you, familiarity is not usually an issue for Christmas tunes. It’s generally an uplifting party, with the softer ballads wrapped in thick layers of more upbeat offerings. There are no presenter links – and the imaging is superb. A simple powerful, mood driven Global approach, with their fingerprints all over the processing template. The imaging has clarity – and fits the occasion. The VOs are well-directed, oozing the right mood as they declare ‘turn up the festive feelgood’, complemented by some simple lines and voxes enthusing about what Christmas means to the Heart generation. There's even the occasional Christmas cracker joke, with the riddle punchline cleverly held across the break – delivered by a fully-qualified ruddy Santa. It was great to hear the big brands on air in the breaks – including, of course, Coke with its stunning festive sonic identity. Good to hear Sudafed and Amazon in there too. Meanwhile, my Nottingham desktop feed treated me to some lovely ads about Christmas in Brighton. Maybe DAX has been on the sherry. Seriously though, how great to hear powerful FMCG brands on British radio. The main London station was promoted, with promos in the hour for Jamie and Emma. That must be a tad confusing for listeners who stay with the Christmas station in the morning or wake up to another Heart local brand in their area, but they choose to shout about their main station and I doubt they lose too many sleeps to Santa over that issue generally. There’s not really another decent solution. There is, though, little inference that that breakfast show does not feature on the station you’re listening to. Desktop access was fine, but on mobile, after being instructed to download the app, finding Heart extra Xmas required my resorting to ‘settings’ to ‘find another Heart station’ at the bottom of a lengthy list of English place-names. Good job I was determined - and that most listening will likely be on DAB anyway, I guess. Mind you, they are running Heart TV Xmas too. They’ve a lot on their festive plate. This is an impressive offering as befits the focused practitioners at Global. It fits with Heart well and will deliver some listening bulk somewhere to the Heart brand. 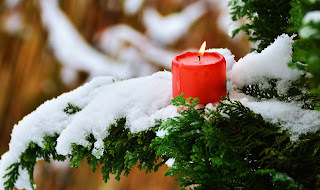 Magic is another brand which can easily have a brief love affair with Christmas. 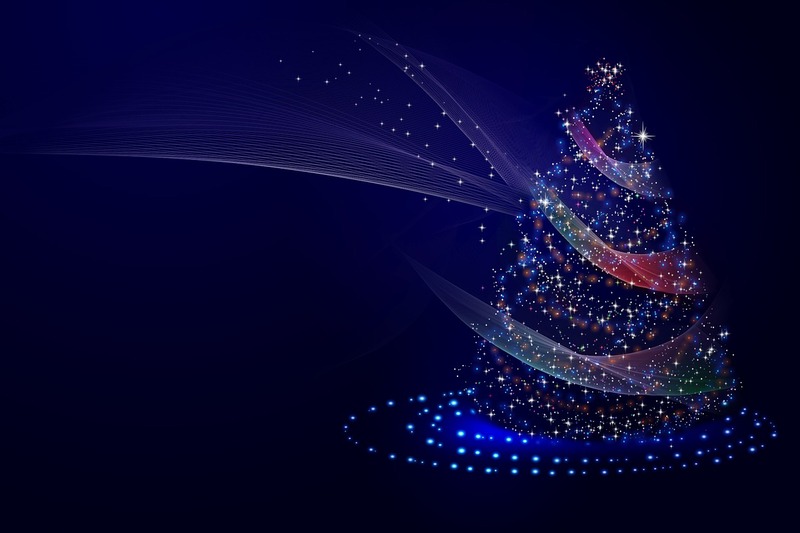 This year, Bauer has created Magic Christmas on DAB (Digital One). It replaces Kiss Fresh, which is quite a format shift, and plays ‘More of the songs Yule love’, arguably a line which is a little too clever, losing something on radio unless delivered with huge clarity. They also lean upon ‘playing nothing but Christmas classics’. Although Magic bears a blue brand colour rather than Heart’s convenient Coke red, they make the most of its frosty feel in a nice-looking desktop experience. If you link straight to loading the app on mobile, it takes you straight to the right station. There is utter clarity about the Magic family on air. 'Ronan and Harriet are ‘over on Magic’;' and 'this is the sound of our sister station, Magic Soul'. Magic Christmas is clearly hailed as being ‘from the people who bring you Magic'. The relationship is clear and they waste no opportunity to promote their peacetime stations. Music seemed a touch softer than Heart, which befits its brand, and again a thoroughly familiar offering was delivered with just enough variety. Christmas is the one time when the whole family really can agree on a song or two. It’s continuous music, like Heart, iced with festive imaging. Magic boasts twinkly vocal idents which I liked, plus some liners. Now, I don't want to incur the wrath of an imager, as I know that's a risky business if one wants to be alive by Boxing Day, and there'll have been a lot of time and care in assembling the liner material, probably into the night. But I worried they risk sounding akin to a miserable character at your dinner table who just tolerates a festive hat. I do get the ‘relatable' thing, and the bid to raise a smile, but I’d imagine that people choose the station when they are in the mood for festive cheer. Nice vocals on the sung idents though - and the integration of the station sponsor, a holiday company, is thoroughly cunning. We're told a little about Christmas in every country they service. Simple and effective device. And well-done on the Johnny Mathis edit. Signal Christmas plays 'Non stop Christmas songs', 'making Christmas even more magical'. The sponsorship from Winter Wonderland is well-parcelled. A Foxy and Emma breakfast promo and visual precedes the feed and delivers the sponsor - and the sponsor lines live within the programming too. The website page is rich in content, even with listeners' Christmas tree pics - and a reminder of what not to do at the Wireless Group Christmas party. Music is familiar - solid Christmas tunes and less contemporary than Heart extra. Santa's on some of the imaging, introducing 'another one of my festive favourites', supplemented by a station voice. I wonder whether there's scope for a tad more festive feel in the delivery, and fewer wooshes and bangs in the mix. But hey, who am I. Away from the major radio group offerings, Santa Radio is back online, with Guy Harris at the helm, best recognised by his voice on ads and production through the year - and one of the nation's leading Santa voices. 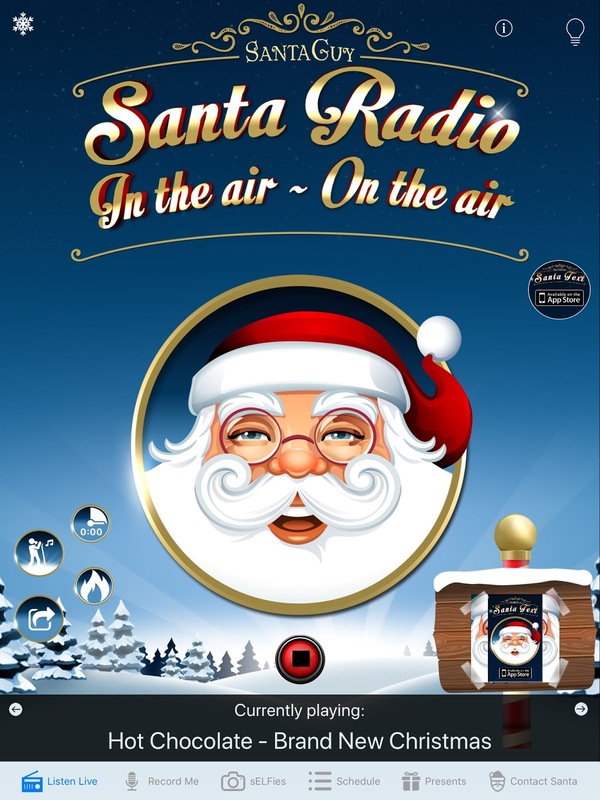 Santa Radio plays 'The World's best Christmas music', 'Christmas 24/7', and is the most interactive of the Christmas offerings I've sampled. You can even send Santa a recorded message from the app and hear your message between the Christmas tunes. These lovely messages are played in, even with 'answers' from Santa to the kids' questions. The way Guy turns it all round is impressive, and it's a great example of how intelligently programmed voice-tracking can be far from sanitised and out of touch when in good hands. 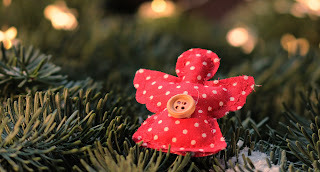 The whole website is dedicated to things Christmas, as its unique identity permits, and it revels in the season. Kids can also even get their own personalised Christmas message too. The imaging is thoroughly well-delivered by Santa himself, with just the right tone and feel for 'his' station. Guy's Santa is thoroughly 'believable' and delivers real festive conversation- maybe the beauty of a VO in this role who's presented shows too. Unlike the traditional stations, not every segue bears an ident, mind you, given listening is all online, the identity of the station is clear to all. I suspect Guy has not got the most expensive playout system - but it sounds perfect. Music is much more varied and traditional than the branded offerings, as its independent status permits - and the whole large playlist is listed online with details of each track and accompanying videos, accompanied by an invitation to supply further ideas. So, some less well-known versions of familiar melodies are mixed in, but the overall feel is thoroughly decent. This is a great achievement again from Guy - and more of a 'family' station where the kids can get really involved. Christmas FM is an Irish tradition, first going on-air in Dublin in 2008, joined by other parts of Ireland in ensuing years and diversifying into themed offshoots. The main quasi-national FM station doesn't carry ads on this temporary additional channel, supported by a hundred volunteers, but does include sponsorships; and has raised an impressive €1.25m for charity to date, with Sightsavers being 2017's chosen cause. This year, Santa's climbed the DAB masts in Liverpool and Surrey. It's available online and on-app too, although I found it all too easy to fall into listening to the non UK version. 'The Sound of Christmas is Christmas FM' , 'The UK's Christmas station'. And Santa on the imaging has a lovely accent. This sounds most like a traditional full service station, albeit without news, with BBC Radio 2-length presenter links, playing a refreshing eclectic blend of frosty favourites, albeit probably the least familiar music blend of the broadcast stations. The story behind some songs is explained in mini packages: 'Unwrapping the classics at Christmas'. This is a cause-driven initiative which demands engagement to build a relationship which will pay off in donations - and it's delivered fittingly. It's a fascinating experiment this Christmas malarkey. With a blank sheet of paper simply headed 'Christmas', UK programmers have a pretty free hand in the beauty they create. With very similar music and the absence of presenters in Christmas jumpers, however, the imaging assumes a new importance in such stations. Imaging a Christmas station is a little like decorating a tree. A precision job if it's going to look just right. Not too much, not too little, lots of sparkle and do watch the colours. Importantly, step back a few paces at the end to see if it all really works. The voice, the processing, the direction, the script, the effects. The tone and colour of our little imaging stars can make these wonderful Christmas stations glitter. 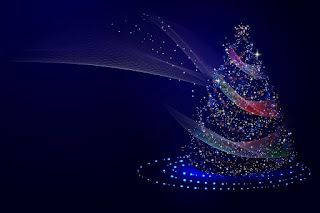 An imaging producer I know might have suggested well-cast and well-directed voice-overs should deck their studios with tinsel and stare at at a few pics of an excited young family waking up on Christmas morning whilst delivering lines if they are to lift that real sprinkling of magic off the page. And - if you are being inventive with this imaging, it demands great writing and real theatrical and comic talent in delivery. In the years to come, smart speakers may rule this genre. You'll shout for your favourite - and likely best known - Christmas station wherever you live. 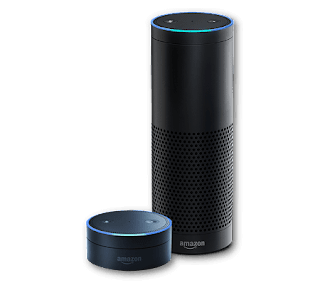 On 'play Christmas' or 'play Christmas radio', Alexa takes me to Christmas music from Amazon music. When Tune-in is invoked, she starts getting stroppy as she' can't play by genre'. RadioPlayer is typically more helpful and makes sure I hear a 'proper' station and certainly knows the variants of station names I might utter. Are the stations worthwhile? For listeners, it's great to know you can get a stream of Christmas favourites chosen for you, whenever you're in the mood. Whilst no Christmas station enjoys its own dedicated Rajar figures, there's little doubt that the listening is captured somewhere on the relevant brand's published tables. No brand taking part has compromised its integrity by its Christmas associations - and the home stations can continue being not too formatically atypical as the big day approaches. I suspect RadioPlayer could deliver some useful comparative intelligence on adoption and trend. Overall, well done to all. I suspect these festive offerings are being crammed into the working days of staff who have a day job too, with clients, bosses and sales execs screaming down the phone. You’ve done well. It’s a nice toy to play with.